2016 has been quite a tough year for music lovers worldwide since it has witnessed the loss of many top musicians. The year started with the exit of David Bowie, a music maestro in January and much the subsequent deaths of other legends including Sharon Jones, Leonard Cohen, Prince, and others. Here is a look at the top musicians the music industry lost in 2016 and left us with just beautiful memories. On January 10th, music maestro David Bowie died at age 69 following a long struggle with cancer. Bowie earned fame for such hit songs as Modern Love, China Girl, Under Pressure, Changes, Heroes, Space Oddity, and much more. Bowie was not only a successful musician but also an accomplished actor with roles in movies such as Labyrinth, The Last Temptation of Christ, and The Man Who Fell to Earth. On April 21st, the Purple Rain hit-maker known as Prince died at his Minneapolis recording studios aged 57. Throughout his distinguished career, Prince won various accolades and awards including 7 Grammy Awards, a Golden Globe Award for Happy Feetís The Song of the Heart as well as an Academy Award for Purple Rain. On March 16th, Frank Sinatra passed away at age 72. Frank Sinatra Jr. was the son of Frank Sinatra who was yet another legend. Sinatra Jr. also had an accomplished music career of his own and had a decent career run appearing in close to 20 shows including Family Guy. On November 10th, Canadian musician Leonard Cohen departed aged 82. Leonard was a Grammy Award winner and an accomplished poet and songwriter too. He was best known for his song Hallelujah. On November 18th, Sharon Jones died in New York aged 60 after struggling with pancreatic cancer. Sharon was an accomplished American soul and funk singer. She was also the lead singer of Sharon Jones and The Dap Kings. On October 24th, Bobby Vee also known as Robert Tomas Velline died aged 73. Bobby gained fame in the early 60ís with hits such as Take Good Care of My Baby. On December 8th, Greg Lake, an accomplished British songwriter, musician, and singer passed away aged 69. Lake died after struggling with cancer. 21st Century Schizoid Man and In the Court of the Crimson King are some of the songs he will be best remembered for. On November 13th, Leon Russell, an American pop star died aged 74. Leon had earned quite a reputation as a studio pianist back in the 1980ís. As a studio musician, producer, and songwriter, Leon has collaborated with Ike & Tina Turner, The Ronettes, Sir Elton Jon, The Rolling Stones, Bob Dylan, and many more. On January 17th, Glenn Frey who was a co-founder of Eagles died aged 67 years due to health complications since he was suffering from pneumonia and rheumatoid arthritis at the same time. Glenn was a guitarist and a co-writer of some of the greatest hits of all time including Hotel California and Desperado. On November 15th, Mose Allison, an accomplished American jazz pianist passed away aged 89. Allison became famous for playing an interesting mix of modern jazz and blues, playing the piano and singing too. Maurice White, the founder of Earth, Wind, & Fire passed away on February 4th aged 74. Maurice has battled with Parkinsonís disease for a long time before his death. Pete Burns, the Dead or Alive singer died on October 23rd due to a heart attack aged 57. Pete was a controversial pop star that participated in the reality show titled Celebrity Big Brother. On March 23rd, rapper Phife Dawg also known as Malik Taylor died at a very young age. Phife was just 45 at the time of his untimely death. He was a co-founder of the legendary hip-hop group known as A Tribe Called Quest. On January 28th, Paul Kantner, a rhythm guitarist and vocalist died aged 74 due to multiple organ failures. His hits such as Somebody to Love and White Rabbit deserve a special mention. On April 6th, Merle Haggard died aged 79. Haggard was best known for songs such as Workiní Man Blues and The Okie From Muskogee. Haggard has over 35 number 1 country hits in his illustrious music career. It is quite clear based on the long list of musical artists who have passed away in 2016 that this year has been the most tragic yet, musically speaking. The 15 artists featured on this list were truly astounding and contributed greatly to the world of music, each in their special way. Each of each of these musicians have also inspired us to teach music lessons to an entire new generation of future artists. What is left is for us to cherish their music because if we do that, we can be sure that their spirits live on among us. If you’re free this upcoming Monday, I have a performance that I’d love for you to attend. I’ll be returning with my trio to Somethin Jazz Club, where I’m in the process of laying down the foundations of my personal compositional and improvisational style. I’ve been lucky to have some wonderful partners in this endeavor and this time around will be no exception, as I will be joined by bassist Danny Weller and drummer Jay Sawyer. We’ll play a mixture of my own material and some choice selections from the Great American and Jazz songbooks. I hope you can join the three of us and watch this process unfold. 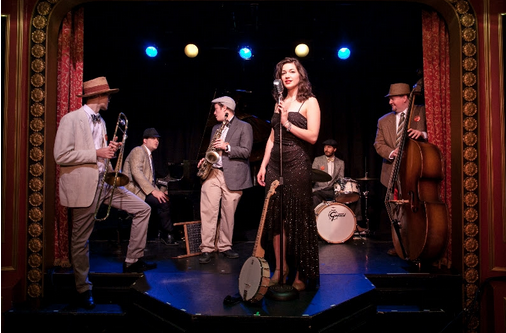 Somethin Jazz Club is located at 212 E. 52nd Street (on the third floor). There IS a $10 cover along with a $10 drink minimum. We play two sets, from 9pm till 10:45pm. Once again, the show is this coming Monday, August 18th. P.S. If you want to REALLY be in the loop, please click the link below to follow me on Facebook! 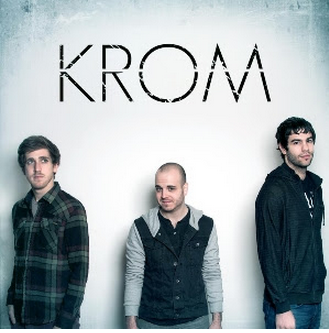 KROM is coming to New York and Chicago! In New York, we are thrilled to be playing the opening night ofSubCulture’s annual Pianofest onSeptember 10th! SubCulture is a state-of-the-art new theater in Manhattan, and this two-week festival will be celebrating piano music of all genres. We will be performing in a triple bill with New York pianist Danny Fox, and renown organist Cory Henry (of Bruce Springsteen, P. Diddy, and Snarky Puppy fame among others). SubCulture is located at 45 Bleecker Street, and the show is at 8:00 pm on September 10th. CLICK HERE FOR TICKETS. And in other news, we are FINALLY coming to the Chicago area to play a CD Release Concert! We will be performing for the first time at the Sherman Avenue Theater in Evanston onSaturday, October 4th at 7:00 pm. The theater is located at 1702 Sherman Ave in Evanston. We will be playing music from our latest album, as well as a lot of great new songs. CLICK HERE FOR TICKETS. Chicago friends please spread the word :). We will also soon be releasing some new videos, so to stay posted you can always check www.kromtrio.com or like our Facebook pagewww.facebook.com/kromtrio. Go to http://metropolitanroom.com/event.cfm?id=155230&cart for more information. East and west coast tour with my project ‘venture bound’ , starting in June. Check out the tour dates here! beside his home base in New York City – June 18th Cornelia Street, he will be in New Jersey, Boston, Virginia, Baltimore, Los Angeles, San Francisco. See the online flyer here. Each new album by Alon Nechushtan offers a fresh glimpse at his diverse and complex musical personality, which seems to be able to encompass a vast, cross-genre richness, which eventually becomes his very own. The most amazing quality of his is that he always sounds as if he already played this or that specific sub-genre for years, whereas in fact a comprehensive knowledge of his output so far reveals that he is probably one of the most chameleonic Jazz musicians around. But regardless of the specific musical environment Nechushtan selects as his weapon of choice at a specific moment, he is always honest, both with himself and the listener. The quality of players he selects as his partners, the wonderful technical qualities, the incredible melodic wealth and above all the ability to communicate with his fellow musicians and his public alike are a direct result of this honesty. Nechushtan’s music is always an amalgam of influences: first and foremost Jewish music in all forms and shapes, but also the endless varieties of the Jazz Art Form, which together create the new “Jewish Jazz” phenomenon, This album,although less obviously connected with the Jewish context and emphasizing the Jazz tradition and its contemporary state of affairs, is nevertheless an integral part of his continuous musical journey, which is always fascinating and heartwarming.